Matthew Patnode is professor of saxophone and jazz studies at North Dakota State University in Fargo. He regularly performs in many genres, both as a classical soloist, chamber musician, and jazz musician. Additionally, he has performed as orchestral saxophonist with the Phoenix Symphony, Fargo-Moorhead Symphony, and has also been featured as a soloist on Minnesota Public Radio. He holds degrees and certificates from Arizona State University, the Bordeaux Conservatory, and SUNY Potsdam. His primary teachers include James Stoltie, Jean-Marie Londeix, and Joseph Wytko. 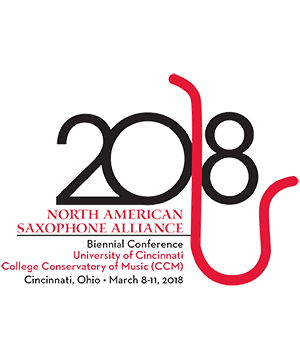 He has presented clinics at state music educator conferences throughout the midwest and serves as the region 3 director for the North American Saxophone Alliance. He has appeared in concert with such artists as Buddy DeFranco, Jimmy Heath, Slide Hampton, Phil Woods, among others. He currently performs with Trio Carrefour, and the Post Traumatic Funk Syndrome. Matthew Patnode is a Conn-Selmer artist and clinician, and performs on Selmer Paris saxophones.